The Sully 1800 expands on the capabilities and cooking power of Sully by adding one warming cupboard to the two large ovens, perfect to impress your guests with hot plated entrees or catering to large events. 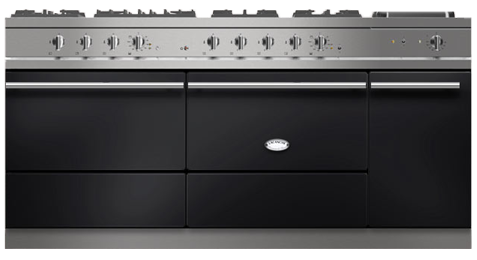 Its spacious hob includes up to nine burners (or eight burners and a cast-iron simmer plate). You can also choose to include an electric plancha or stainless steel workstation. The two large ovens are available in your choice of gas or electric convection. The warming cupboard can be added to the left- or right-hand side of the ovens depending on your kitchen configuration. For efficiency, the warming cupboard should be on the side closest to your kitchen / dining table. 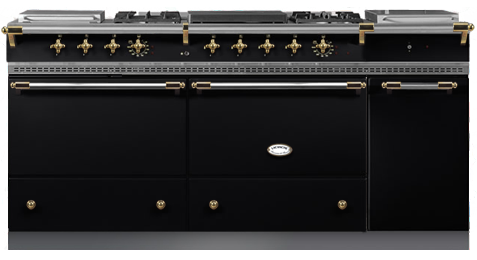 Classique The Classique top includes our signature high-output, 18,000 BTU burner, along with a versatile 11,000 BTU burner and low-heat simmer burner. Classique 4 Our Classique 4 top features (1) 5,000 BTU simmer burner, (2) 11,000 BTU and (1) 15,000 BTU burners, along with three additional top options for maximum flexibility!